It may be summer for us, but it's December in Québec as How the Light Gets In begins. The story in this ninth in the Armand Gamache/Three Pines series picks up shortly after the predecessor book, The Beautiful Mystery, ended, and things are just as grim as you would imagine for Chief Inspector Armand Gamache, if you read that book. Gamache's longtime enemies at the Sûrété du Québec are circling like sharks, taking bites out of his Homicide team. All of his team members have been moved to other departments, except for Isabelle Lacoste, and the officers moved to his team in their place are slackers, insubordinate and obviously playing for Gamache's saturnine enemy, Chief Superintendent Francoeur. Jean-Guy Beauvoir, Gamache's second-in-command and closest colleague to both him and Lacoste, is now with Francoeur. Jean-Guy is a mess. Hooked on painkillers again, completely alienated from Gamache and broken up with Gamache's daughter Annie. Of course, all of this has been orchestrated by Francoeur and his compatriots. The sharks have isolated their prey and are coming in for the kill. Considering what his office has become, it's almost a relief to Gamache when Myrna Landers, Three Pines's flamboyant bookseller, asks for his help to find a missing friend. 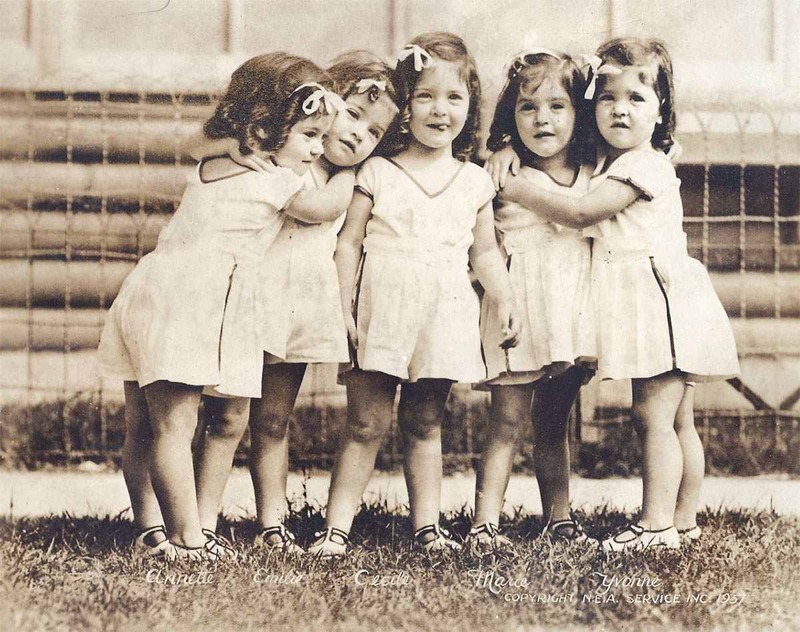 This seemingly simple case unexpectedly becomes a last chapter in the story of Québec's most famous baby boomers, the first quintuplets to survive their birth. This part of the plot is obviously based on the Dionne quintuplets, whom the baby boomers among us will remember very well. The Sûrété corruption plot that we've been following for this entire series takes center stage in this book, and it's a nail-biter that puts all of the characters under make-or-break stress. For those who have been wondering about the reach of the corruption and the long-term goals of its principals, this will be a particularly satisfying read. What does this have to do with the book? Read it and find out. Penny uses the corruption plot not just for thrills, though, but as a return to one of her perennial themes, good and evil. I remember back in A Trick of the Light, the seventh book in the series, there was a passage explaining the difference between Armand Gamache and Jean-Guy Beauvoir. Gamache always believed there was good in people, but Beauvoir was the opposite. Beauvoir believed that at bottom, you would always find evil, "without borders, without brakes, without limit." Now Gamache, at his moment of crisis, wonders if Beauvoir was right, that maybe evil has no limits. He knows that it will be hard to find the impetus for the corruption, because most likely, it "started as something small, invisible to the naked eye. It was often years, decades, old. A slight that rankled and grew and infected the host." And now the infection is overwhelming. Penny always manages to explore the themes of good and evil, love and hate, and sin and redemption without sounding preachy, because she does it through her particular strength, the character study. After reading all the books, and then going back and listening to the whole series on audio, I've come to know the characters as real people, with histories, strengths and flaws. I know their homes and how they live. Louise Penny writes so that there is no distance between the reader and the characters; their thoughts and emotions, what they eat and drink, how they interact with each other and, most important, how they react when bad things happen. Penny is such a keen observer that it's all too easy to believe that you can travel to Three Pines, sit down at the Bistro and join in the conversation with all these characters, walk the green with them and watch the village children playing hockey, sit in Clara's messy house and enjoy a meal, browse for books at Myrna's bookshop and head upstairs to sit around the wood stove with a cup of tea and a scone. Hmm, there sure is a lot of eating and drinking that goes on in Three Pines––not that there's anything wrong with that! But there's more to it than that. Penny can also use a small moment to evoke poignant emotion, as when she has Gamache pick up a book at a murder scene, flip it open to the bookmarked page and see what the victim would now never read. 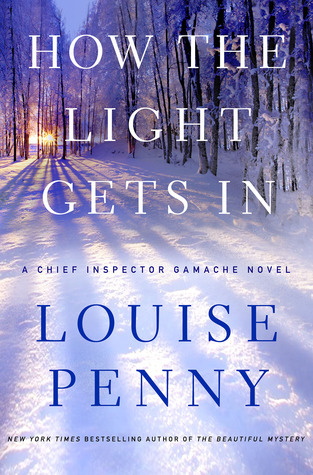 Louise Penny has transformed the police procedural and village mystery genres into not a mash-up, but something unique, original and genuine. Every summer, I look forward to my next visit with these characters, and at the end of the book I regret that my visit was all too short. I hope you'll visit too. Note: How the Light Gets In will be published on August 27 by St. Martin's Minotaur. I received a free review copy of the book. I have had a major hankering for this series of late. I blame it on the very short but excellent Masterpiece series ENDEAVOUR. I'm not caught up on Penny's series (not even close) but I have some sitting by the bedside waiting now. Becky, I really enjoyed ENDEAVOUR too. Much more than I thought I would. The atmosphere reminded me a little bit of a Masterpiece Mystery series a few years back called JERICHO. Did you ever see that one? http://www.pbs.org/wgbh/mystery/jericho/ It doesn't seem to be available on Netflix. I'll have to check and see if it's on Acorn. I just love the Armand Gamache series. It's great on audio, too. What book is next for you in the series? I don't think I ever saw JERICHO at all. I'll have to check that out. Hm, wonder if it's on the amazon rental thing. I've used that before for UK shows. So with the Gamache series, I've only actually read two books so far - STILL LIFE and THE BRUTAL TELLING. I actually read TELLING first so I went back to start from the beginning. Next up will be book two. You have a lot of good reading ahead of you with the Louise Penny's books. THE BRUTAL TELLING and BURY YOUR DEAD are great to read together. BURY YOUR DEAD is set mostly in Québec City at Winter Carnival time and it can actually make you long for winter. It sure makes me want to take another trip up there.